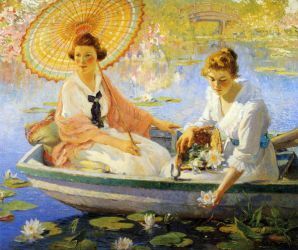 Colin Campbell Cooper, Jr. (March 8, 1856 - November 6, 1937) was an American Impressionist painter. Cooper was born in Philadelphia, Pennsylvania to Dr. Colin Campbell Cooper and Emily William Cooper. He studied art at the Pennsylvania Academy of the Fine Arts under Thomas Eakins, and at Académie Julian in Paris. 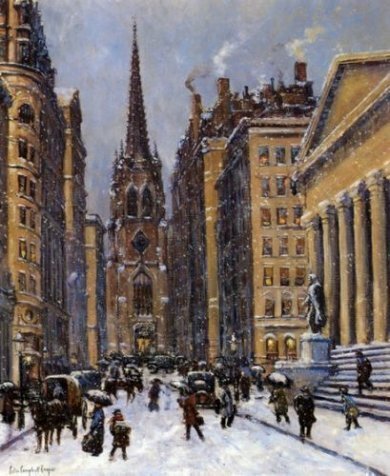 Back in Philadelphia, he taught watercolor classes at the Drexel Institute of Art, Science and Industry (now Drexel University). 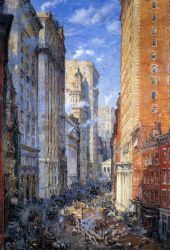 In 1897 he married renowned artist Emma Lampert, and the next year they moved to New York City, where he began work on his famous skyscraper paintings. 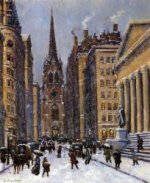 He travelled extensively, sketching and painting scenes of Europe, Asia, and the United States in watercolors and oils. He and his wife were on the RMS Carpathia and assisted in the rescue of the survivors of the Titanic. 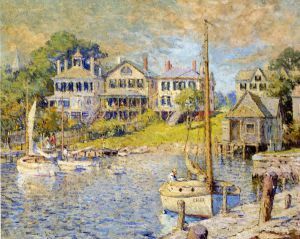 Several of his paintings document the rescue. In 1912, Cooper was elected to a prestigious membership in the National Academy of Design. 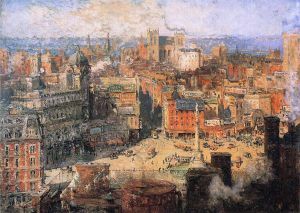 Cooper exhibited in San Francisco's Panama-Pacific International Exposition of 1915, winning the Gold Medal for oil and the Silver Medal for watercolor. 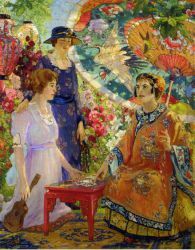 He also participated in the Panama-California Exposition in San Diego. In 1920 his wife Emma died. 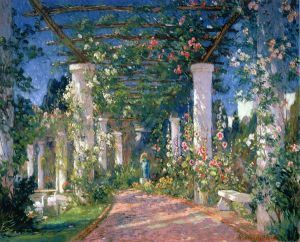 He moved to Santa Barbara, California in 1921 and became dean of the School of Painting at the Santa Barbara Community School of Arts. He married his second wife, Marie Frehsee, in 1927. Cooper died in Santa Barbara in 1937.